Church Warden: As the owner has not responded to my previous log requesting that they check this cache I am archiving it. The name 'Offord' originates from the name found in the Domesday Book 'Upeforde', which in turn is believed to derived from the Old English pre 7th Century "uppe", up (stream), and "ford", ford. 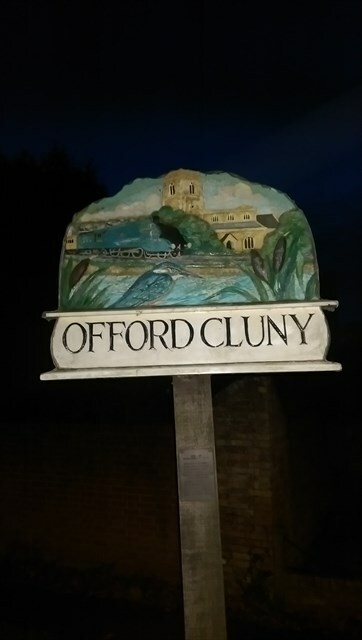 The name 'Cluny' comes from Cluny Abbey in the Bourgogne region of France, which were granted a manor in Offord by Arnulf de Hesding some time before 1086. The cache is near the village sign, but not on it. Please do not go climbing all over the sign!